Yesterday’s big news was that the Federal Reserve (Fed) has finally increased interest rates, by 25 basis points or one-quarter of 1 percent. On the face of it, this increase doesn’t seem like it should be considered a major deal, but the widespread media coverage would indicate otherwise. Let’s spend some time thinking about why this rate increase is important (because it is), what it means (which is almost entirely positive), and what we should be worrying about (if anything). Why is the rate increase important? Simply put, interest rates are the price of money. When money is cheap, like anything else, people use more of it through borrowing. Therefore, when the economy is weak, one way to get it moving is to encourage people to buy more by making borrowing cheap—which is to say, by lowering interest rates. This is just what the Fed has done for almost the past decade: making money cheap in the hope that it would allow the economy to grow faster. In fact, by making money essentially free, the Fed went as far as it could—and then some. It took a long time to work, but finally the Fed has decided that the economy is growing fast enough that rock-bottom rates are no longer needed to encourage growth. This determination is why the decision is important. By starting to raise rates, the Fed has declared that the economy really is substantially recovered. This is a big step, one the Fed has failed to make on many occasions. The fact that a notably nervous institution is now willing to move says quite clearly that the economy should continue to grow. This is a positive sign for citizens and the financial markets. For the average consumer, the impact of this decision should be minor. 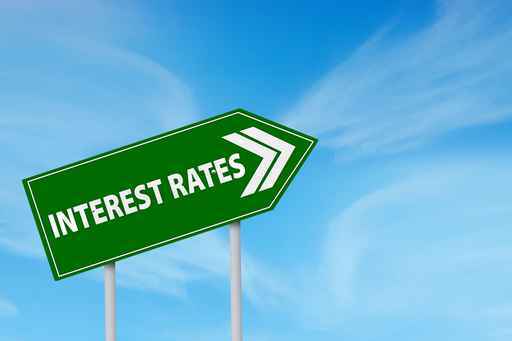 Although rates for loans should go up slightly, interest rates remain extremely low, and this small increase should not have a substantial effect on one’s ability to buy a house or car. Indeed, when rates start to rise, consumers often spend more in order to get ahead of further rate increases. Anyone looking to buy a house, for example, has a real incentive to get that mortgage now rather than later—which should support the housing and auto markets, among others. For the average investor, the stock and bond markets need to be considered separately. For the stock market, the likely effects are not entirely clear cut but should be positive overall. Higher rates, in theory, make any stream of earnings worth less, which should depress the market. What actually seems to happen, however, is that the expectation of higher growth—a combination of increased confidence in continued growth and the expectation of an acceleration (as discussed above)—pushes expected earnings up by more than enough to offset the interest rate effect. This, in turn, drives the market higher. Some volatility is quite possible, of course, but historically the start of interest rate increases has been positive for the stock market. For the bond market, there are two offsetting factors. For existing holdings, higher rates could mean a decline in value, just as with stocks. Offsetting this, however, is the ability to reinvest later at higher rates. A rate increase can, therefore, impose an immediate cost, but also provide higher returns in the future. The net effect, while more negative than that in the stock market, should still be positive over time for a diversified bond portfolio. Although the risks here are real, they are certainly manageable—and nothing to panic about. What should we worry about? The real worry point in the Fed’s action is the base assumption that the economy is strong enough to absorb higher rates. We have seen evidence of a slowdown recently, both around the world and here in the U.S. Should the rise in rates make that slowdown even worse, we could face a renewed recession. Similarly, the effects of higher rates on other countries that have borrowed in dollars could be significant. By starting a cycle of market disruption, higher rates could well rattle economies around the world, which would be one way to start the recession referred to above. Finally, by raising rates even as other central banks continue to stimulate their economies, the Fed risks driving the dollar even higher, which would further weaken the industrial sector of the U.S. economy and, again, potentially kick off a recession. These are not crazy fears. Other central banks around the world have tried to raise rates since the crisis, only to be forced to cut them again in the face of continued economic weakness. Laying out the problem this way, however, also contains the solution. The Fed is very aware of the potential problems and will be monitoring the results. Indeed, the delay in raising rates was specifically because of these potential problems, among others. Should the data warrant, the Fed could indeed reverse the rate increase—as has been done by other central banks. This is not an irrevocable step. More likely, however, is that the market has been expecting this for a long time, and the Fed has delivered exactly what was expected. Any effects should be—and, as of this writing, largely are—priced in. Will we see volatility? Quite possibly. Will there be problems, both here and abroad? Certainly. This is normal and has nothing to do with the rate increase. Overall, the rate increase and future increases represent success in the recovery. Rather than something to worry about, they should provide increased confidence and even possibly an economic boost. Although the risks are real, they are also manageable and, in fact, normal. The initial rate increase is one more step toward normal—and something that will ultimately make everyone in the U.S. better off. Forward-looking statements are not guarantees of future performance and involve certain risks and uncertainties, which are difficult to predict. All indices are unmanaged, and investors cannot invest directly in an index. Unlike investments, indices do not incur management fees, charges, or expenses. Past performance is no guarantee of future results. Gabe Lapito is a financial advisor located at Strategic Retirement Plans 208 N. Broadway, Suite 450 Billings, MT 59101. He offers securities and advisory services as an Investment Adviser Representative of Commonwealth Financial Network®, Member FINRA/SIPC, a Registered Investment Adviser. Gabe can be reached at 1.800.489.8685 or at gabe@lapitoretirement.com. Authored by Brad McMillan, CFA®, CAIA, MAI, chief investment officer at Commonwealth Financial Network.